The Silvereye are a Circle of keen-eyed Sentinels who stand vigil over the Kaldorei, ever alert for the rise of new enemies, or the ressurgence of old. We stand ready to heed the call to arms against the foes of the Alliance, or those who despoil nature or corrupt the Kaldorei people. The Silvereye is a World of Warcraft Role-Playing Guild on Argent Dawn. We are dedicated to organising roleplaying events for our members as well as members of other guilds, and contribute as actively as we can to the overall feeling of immersion in World of Warcraft. We strive for an open, pleasant and fun atmosphere in the guild, and welcome members who will add to this, and embrace the tone we already have. A haunting short flim by Acrona, the moonwashed orchid of the Silvereye. or view it in Internet Explorer for a full-sized version. The D ire Premonitions of mad seers and grim warlords are coming to pass. 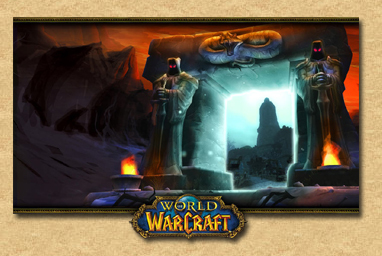 The Dark Portal, source of invasion after invasion gapes open again, and the Burning Legion threatens Azeroth once more. The Silvereye stands ready to defend the Goddess' Vision of Azeroth at Peace, and will prosecute a war on a distant world to ensure that peace is undisturbed. The Silvereye Website is only the tip of the iceberg, with active forums which we use for event planning, organisation and general community building, as well as a very active , IRC channel where guild members hang out most of the time. Please note that the Silvereye Forums are member only. Please contact a Silvereye officer to get guest access.